This giveaway is now closed! Thanks to all who entered. Click HERE to see who the lucky winner is. It's time for another major clean-up and reorganization of my sewing space. Last time I shared all kinds of before and after pictures, but this time I will spare you the details! You're welcome! Here is a lovely little pile of scrap fabric. Some of it is from projects you might recognize if you stop in here frequently, like that little fanned pile of rectangles on the right, which are the leftovers from what I sent for the Swap A Rainbow fabric swap. The cutting of those fat quarters was so efficient that I only had these little stacks of rectangles left. There are also scraps from my postage stamp quilt, the butterfly apron I made recently and gave to my craft fair helper, a nice little piece from the tote bag I made for Anna down in Australia for her birthday, some pink music note fabric which was used as a backing for one of my I Spy quilts, some pink fabric from the cancer walk backpack bags, a large piece of blue solid with fusible webbing already applied to it which came from the arch on the school charity banner, a few other pinks, and also a little denim apron which I did not make but would be great for your little kitchen helper...you could even decorate it with some of the fabric scraps! So if you would like to receive this little package of scraps in the mail, just look over there on my sidebar for the new box that says Find Us On Facebook, and LIKE my new facebook page. Leave a comment on this post telling me you have done that (I'll check too! ), and make sure I can contact you by email. That's it! I'll draw a name next week sometime when, hopefully, the clean-up is complete. I may even have a few more packages of things to give away, but I'll post each one separately as they may be different kinds of stuff like yarn or crafts. We'll spread the prizes around! We are still celebrating Sean's recovery from his appendix surgery and his return home from the hospital after a week, so be sure to enter that giveaway too! Click HERE to join the celebration and for your chance to win a hand knit scarf! 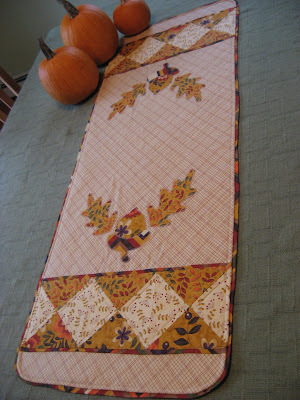 Enjoy this gorgeous weekend, and get a little sewing, knitting, crafting done too! YES!! I am liking you on FB!! What a lovely Give Away!! Happy Birthday MGM....can't wait to see what you got, I mean your hubby got you! You have been Liked! Great giveaway. I love the pink fabric. Happy crafting. I like you on FB!!! Your scraps are lovely! I do the same type of birthday presents, it works pretty well. I like you on Facebook (Beth McDonald)...have to admit I do not think I have the whole Facebook thingies figured out yet! I wanna be a winner of our stash giveaway. I love scraps as I love to Paper piece. Would you have any BLUE Christmas Fabric? 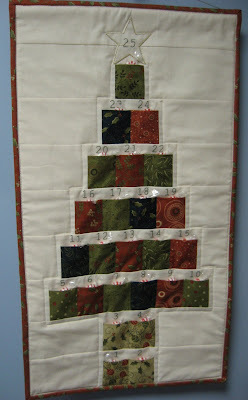 I am looking to do a paper pieced Christmas Tree in Blue fabric. Would love to win your scraps, and I liked you on facebook. Thanks for your great giveaway. Like you on FB! Thanks for the giveaway!